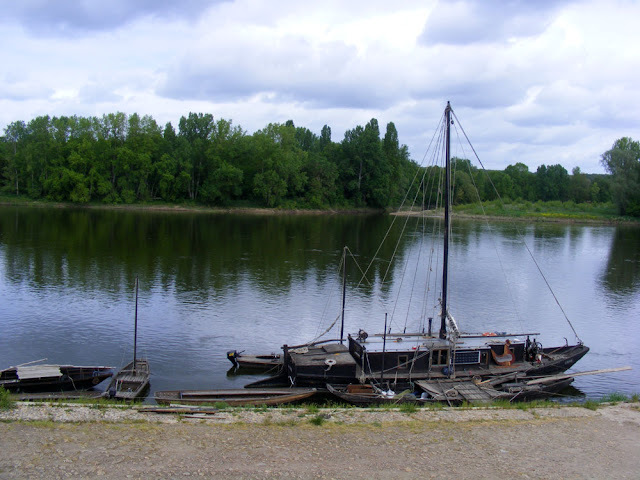 The village of Bréhémont on the Loire River west of Tours is one of the old river ports. Even today there are the old river boats of a type known as fûtreaux moored along the quay. One of the few remaining river fishing boats works from here too, and this stretch of the river was famous for its migrating salmon and shad (Fr. alose). In the old days, hemp (Fr. chanvre) fibre grown locally would have been one of the major cargoes being shipped from here. I think this boat is a toue cabanée, a type of fûtreau with a cabin. The hemp was mostly used to make rope, but also paper up until 1984. In the 19th century hemp crops took up half the available land around the village and a third of the population was involved in its cultivation and processing. It was all shipped out by boat until the arrival of the railway killed the river trade at the end of the century. 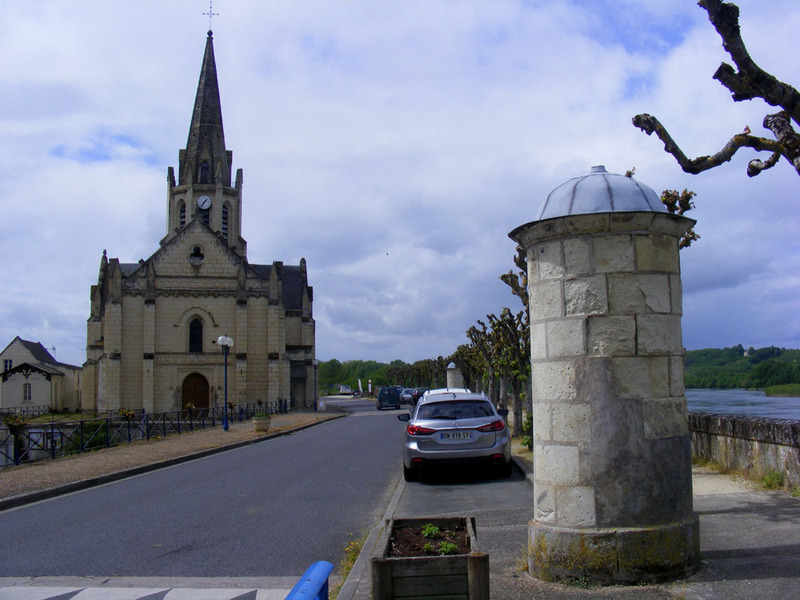 The 19th century church, dedicated to Mary Magdalen, and an old urinal. 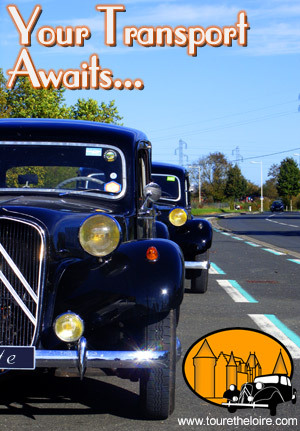 Bréhémont sits between the southern channel of the Loire as it goes around a large island, and the River Indre. The confluence of the Cher and the Loire is nearby too. Consequently the area floods quite frequently, and even today, hemp, which likes wet conditions, is a significant crop. The fire pump and lock-up. The gothic revival church was built in 1834, replacing a chapel, which was demolished. 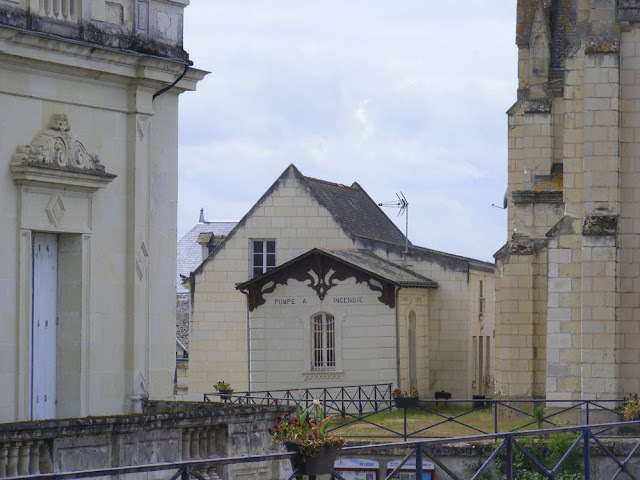 Next to it is a building which houses a fire fighting pump (pompe à incendie) and the town gaol. On the riverside footpath near the church are two rather mysterious looking stone columns. They are the vestiges of public urinals (Fr. édicules de nécessités) erected in 1872. There used to be six along the quay. All that remains are two of the central columns. A bit OTT for a French urinal its usually just a bit of wall!! Not the 19C ones. They can be real works of art.